There could be a changing of guard in the Cowboys' backfield going forward. Dallas Cowboys running back Joseph Randle left Sunday’s Week 7 27-20 loss to the New York Giants in the first quarter, and NFL Inside Randy Getlin has confirmed on Monday that Randle is dealing with an oblique injury. 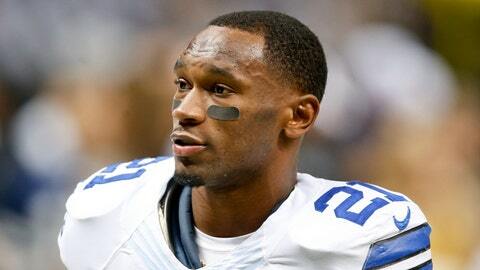 #Cowboys RB Joseph Randle is dealing with an oblique injury similar to the one he suffered during the pre-season, a source said. This injury is similar to the one that caused Randle to miss time during the Cowboys’ preseason and training camp. In Randle’s place, running back Darren McFadden had a breakout game against the Giants. He finished Week 7 with 29 carries for 152 yards and a touchdown. It was his first opportunity to operate as the team’s lead back. There has been no word on how much if any game time Randle might miss, but we will keep you posted when the news breaks.